The Playhouse Board of Directors will meet on Monday, Jan. 16, at 7 p.m. at the Playhouse. The meeting last week was cancelled due to the weather. We will have a Board of Directors' meeting at 7 p.m. Monday, Jan. 9, at the Hobbs Community Playhouse. Among the agenda items to discuss is a potential online ticketing purchasing system. Robert Schumacher has been leading a team on this. At the last board meeting, he was approved to head the IT Committee, which has several important issues to tackle. First up is online ticketing reservations. Go technology! Have any technology ideas, suggestions for the Playhouse, contact myself or Robert. We'll also be setting the annual Awards Gala date and location. This is the annual general meeting where the new board is voted into office, etc., and awards are given out. Don't forget, the rehearsals for the musical Fiddler on the Roof are in full swing. Look for the show in February. Finally, the annual corporate campaign and advertising sales is underway with the Suzanne Holler making many of those calls. Thank you to all our corporate sponsors and Playbill advertisers. Without you, there would be no season. Thank you, thank you, thank you. Your sponsorship dollars are important to us. If you know of a company that would be interested in supporting the Community Players of Hobbs, please let me know. "Fiddler on the Roof" rehearsal for Monday, January 9th, 2012 has been CANCELLED due to weather. We will rehearse tomorrow, January 10th, 2012. Additionally, the Board of Directors meeting scheduled for Monday, January 9th, 2012 has been CANCELLED as well, and will be rescheduled at a later date. The Center for the Arts of the Lea County Commission for the Arts is seeking an Executive Director. 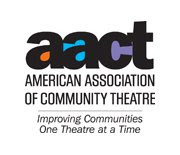 Details can be found at their website, http://www.lcca.us/volunteer.html, or you can contact the Playhouse's own Larry Harlin, who is an LCCA board member. If you can, please support our partner in the arts! 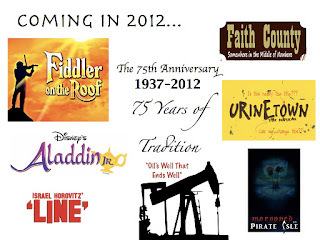 "Fiddler on the Roof" cast, you have a dance rehearsal on Sunday, January 8th, 2012 at 2 PM. The rehearsal will be at Maciolek School of Dance, 1849 North Jefferson Street, Hobbs, NM. This is for the FULL CAST. If you cannot make it, please call/text Robert at 808-497-9250 or email at subsailor@gmail.com. To get to Maciolek from the Playhouse (you all know where that is, right? ), take Grimes from the Playhouse to Bender. Turn right on Bender, drive approximately 1.5 miles. Turn right on North Jefferson Street, go approximately 1/2 mile. Maciolek will be on your right, at the intersection of North Jefferson and East Jackson Streets.